Time is strange when you’re traveling alone and don’t speak the language. My month in Torino felt like an eternity at first – especially when I was struggling to communicate even the most basic things in Italian – but suddenly I found it was almost over. In my final week I rushed to wrap up the loose ends of my Torino research, visit the museums I’d meant to visit, and spend time with people I’d met. For the next month I will be visiting two other regions: Lyon and Stuttgart. Then I’ll return to Torino in December to wrap things up, write my final report, and do all the things I still haven’t done there. So late last week I said goodbye (for now) to Torino and boarded an evening train headed west across the Alps to Lyon. I was nervous about leaving behind the familiarity of Torino, my colleagues at SiTI, and the Italian language – which I had finally become comfortable with. There’s no SiTI in Lyon, just me in a rented apartment and a handful of contacts through the German Marshall Fund’s network. AND I speak no french – none zero zip – so I was bracing myself for a more challenging experience. That first night my fears felt confirmed. I had either misread the train schedule or miscommunicated with the French station agent and found myself stuck at the wrong train station on the outskirts of the city, some 30 km from where I needed to be. It was 11 pm and the connecting train I expected was apparently not coming. My choices were a very expensive taxi ride or a series of tram and subway connections. This fellowship being what it is, I gathered my courage and opted for the latter. I expected an ordeal but instead it was incredibly easy and fast. 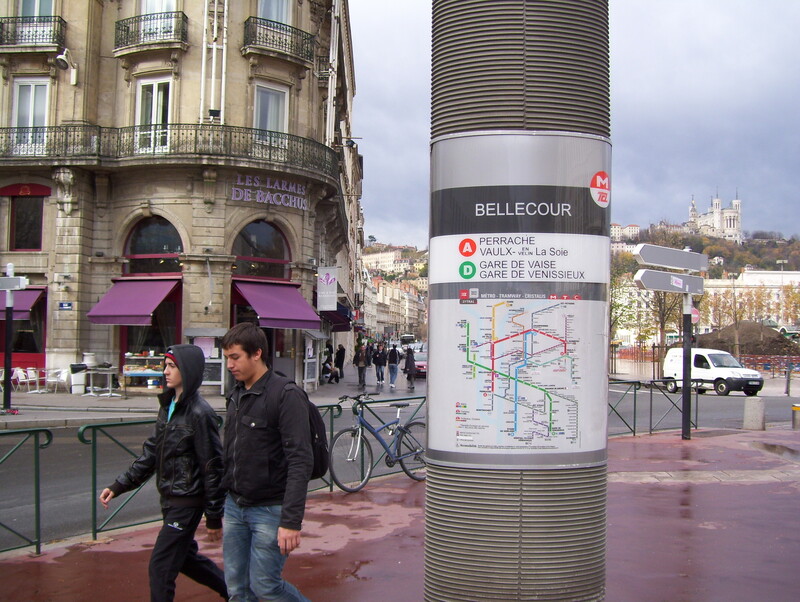 That is the first lesson of Lyon: their system works, even late at night, even across long distances, even when you don’t speak the language and don’t know where you’re going. At every step along the way there was good information, fast connections and helpful people that spoke English or Italian, or suffered patiently through my hand gestures and incomprehensible attempts at French. I reached the city center – a distance of 30 km – in just over 35 minutes, using two different modes (tram and subway) across multiple municipalities. When I arrived at my station I was two blocks from my new apartment. Vive le effective transport! 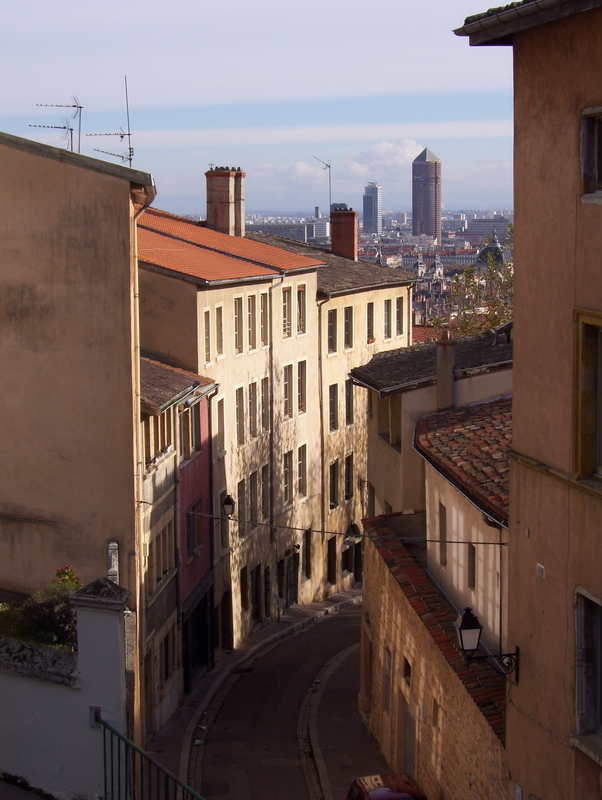 Old Lyon is on a hillside above the confluence of the Rhone and Saone rivers. Lyon's newer commercial center, known as "Part Dieux" is visible in the background. Everywhere a bike share. 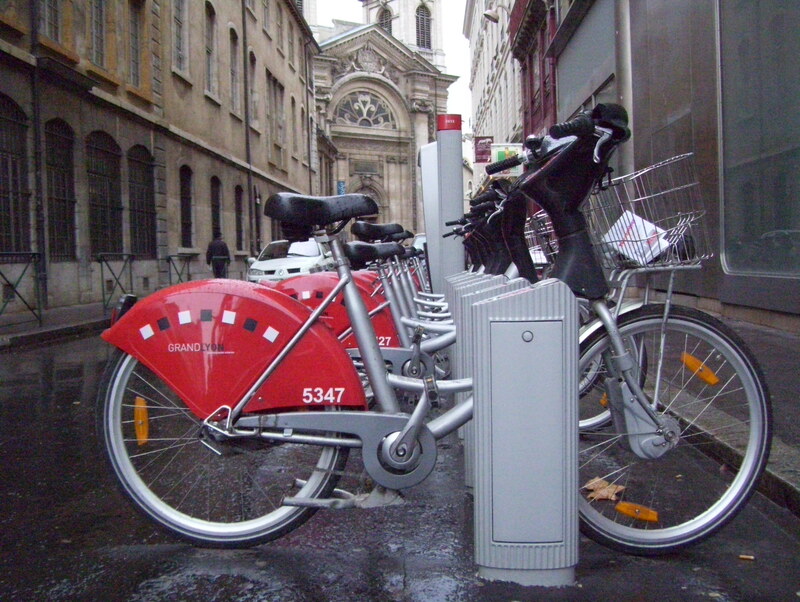 Lyon's hugely successful bikeshare program became a model for similar programs across France and Europe. Lovely Lyon - not as scary as I thought. Pedestrian bridge over the Saone River. 2 Responses to Parlez-vous transport? Brava Autumn! 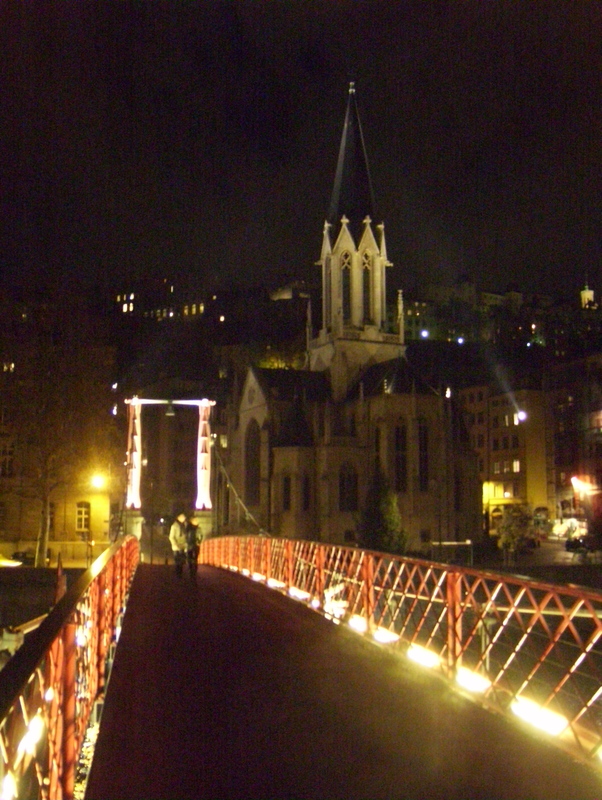 Is not super beautiful Lyon??? You are right when you tell about the precision and clarity of connectione system! What an interesting report. I found myself advising (from my experiences many years ago) …Be an illiterate Italian who does not speak French, not an American who does not speak French, gosh that looks like a scene from The Borne Ultimatum, or gosh isn’t it great when a transportation system works. How wonderful it will be when we get such support here in the US…Sacramento. You are a real trooper, glad you took the chance to use public transit and sent this story to us.